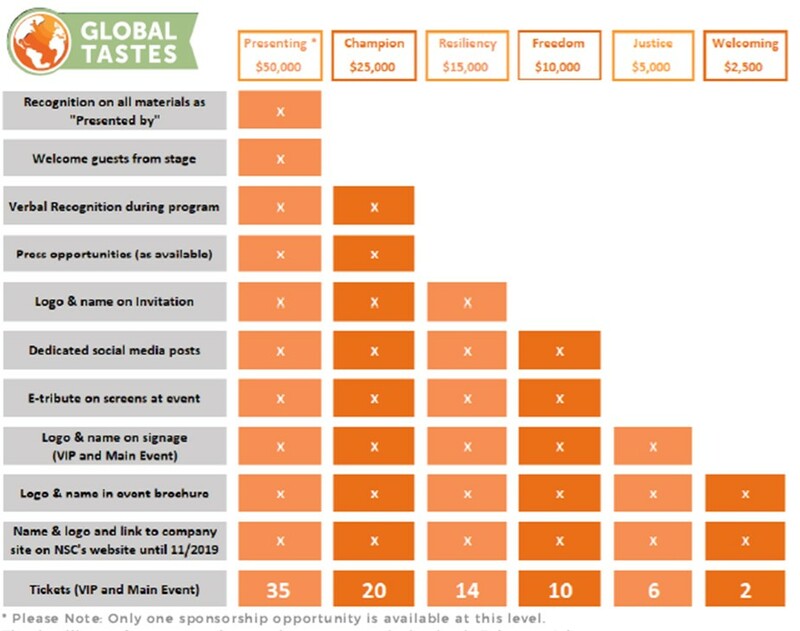 You don't want to miss being a part of Global Tastes 2019! Become a sponsor today, and receive benefits ranging from exclusive invitations to our pre-event VIP reception to marketing exposure for your company. Download our sponsorship package at the bottom of the page for more details and payment information. Questions about sponosrship? Call Caitlin Gordon at 267-439-4106 or email cgordon@nscphila.org.